Looking for some inspirations to create a desk and private space within a room, look no further! 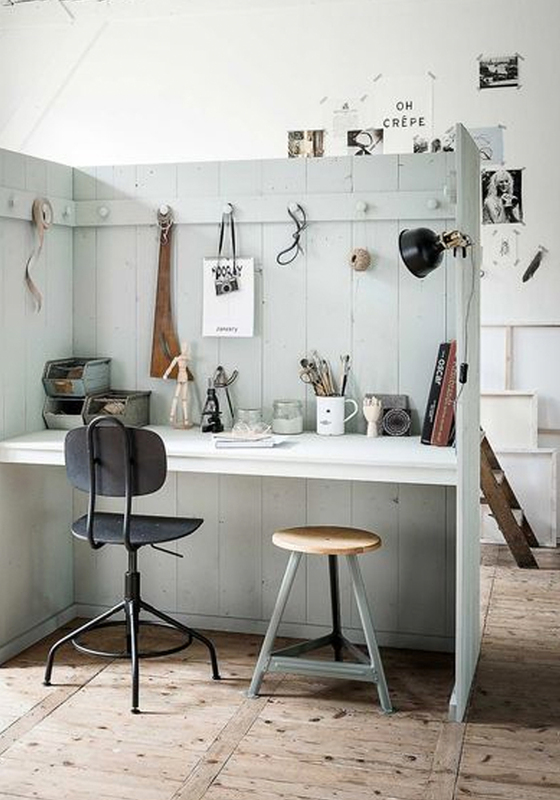 This beautiful creative space, filled with natural light, is a DIY project from Dutch magazine VT Wonen. You can find the tutorial to create this little nook (tutorial & instructions here). The instructions are in Dutch but if you are using Google Chrome, you can activate an add-on (Google Translate) in the toolbar to translate automatically pages written in a different language (very useful!). They’ve used Light Blue No 22 by Farrow & Ball, which I think, looks really pretty and summery. What do you think? It is a colour I wouldn’t usually think of using as I tend to go for hues of whites and greys (see our bedroom) but I really like how it softly contrasts with the rest of the room in white and it makes SO inviting, doesn’t it!? It’s always nice to work from a space filled with natural light, isn’t it!? I initially set up an office in one of the spare rooms in our home in France but most days I work from the dining table in our lounge, because the room is filled with natural light. Ideally, at some point, I would love to convert the old workshop at the back of the house into a photography studio but we have more pressing things to attend (i.e. the bathroom to renovate & the kitchen floor to fix). 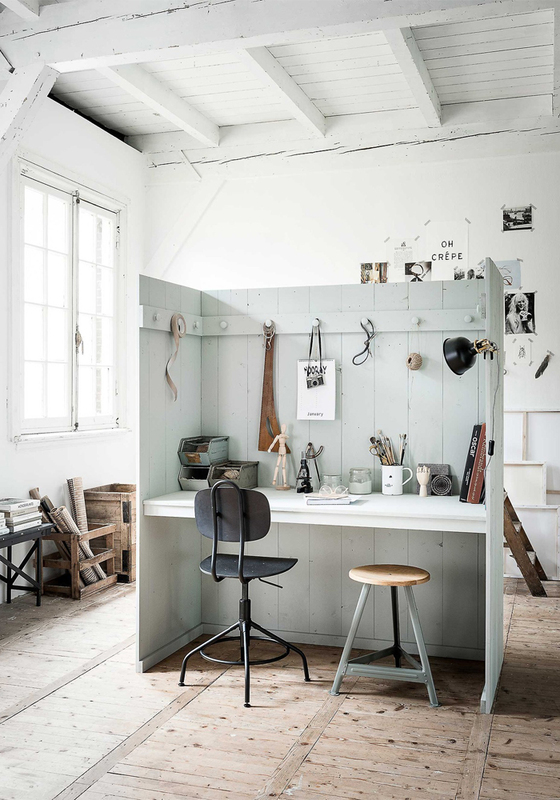 Have you set up your own creative space at home? What is the thing you love the most about it! ?